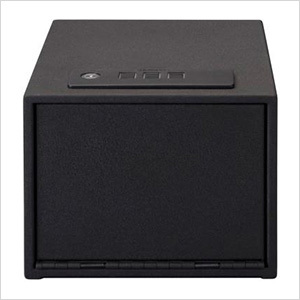 The Stack-On QAS-1512 safe is designed with a solid steel-plate body and a pry-resistant steel plate door. The electronic lock is easy-to-program and can be programmed for 3 to 8 digits and the included override key gives you immediate emergency access. 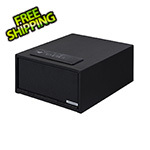 Foam padding on the bottom and shelf prevents scratches on the safe's contents.